UPDATE: Union Pacific Railroad has postponed the road closure scheduled for Thursday, April 11, 2019, through Sunday, April 14, 2019, until further notice. All lanes of Dairy Ashford will be closed at the railroad tracks starting Thursday, April 11 through Sunday, April 14. Union Pacific Railroad will be working on the railroad in preparation of the road widening. 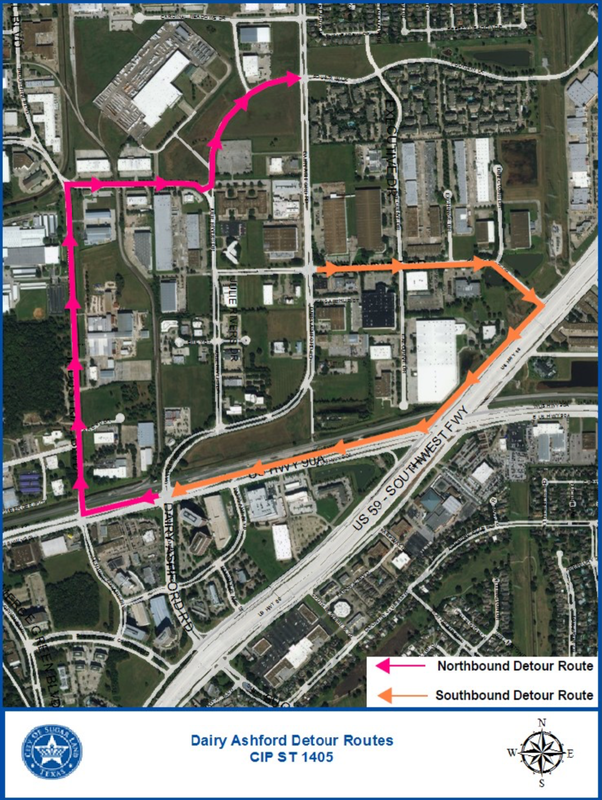 - Northbound Dairy Ashford traffic will detour via US Hwy 90 to Industrial Road to Reed Road to Julie Rivers to Dairy Ashford. - Southbound Dairy Ashford traffic will detour via Corporate Drive to US Hwy 59 to US Hwy 90A to Dairy Ashford. @SugarLandDotCom : I have faced the effect.